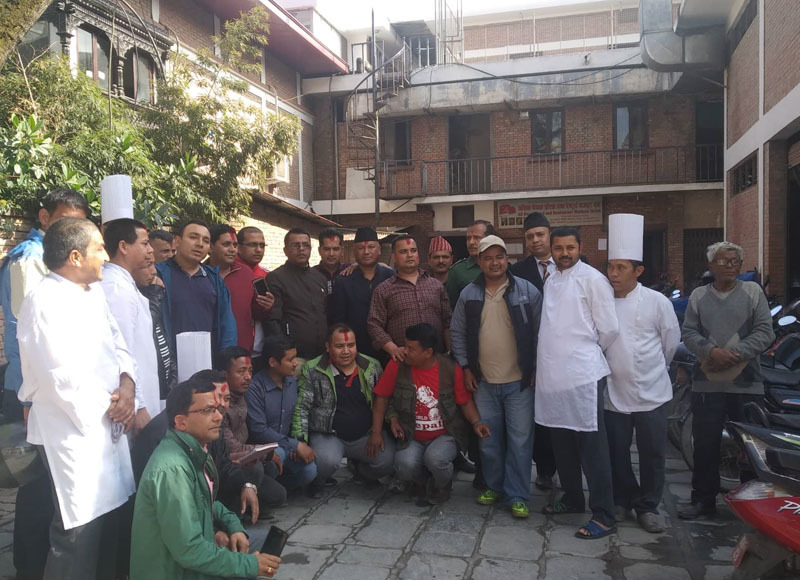 Kathmandu, NIHWU has organized gathering in Hotel Mall on 4 April 2019. The gathering has reformed 11 members Mall hotel committee under the presidency of Cde. Bhabishwor Aryal. In the program GEFONT NEC member Cde. Suman Parajuli said “to strengthen the union there will be important role of the union members.” He also suggested that union has to follow the union’s constitutions properly in coming days also. On the occastion NIHWU vice president Cde. Beg Bahadur Pandey & Secretary General Cde. Laxman Tiwari briefed about Labour Law & Contributory Social Security scheme. More than 40 participants have attended in the program.